Superbly designed products that will give you everything you need for your bathroom from shimmering brassware to geometric toilets and basins. 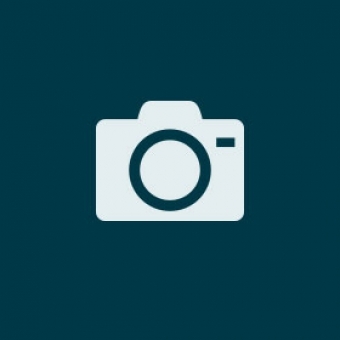 Stunningly visual ranges that will never go out of fashion. 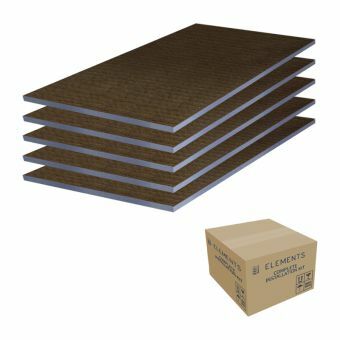 Abacus M1 Series Waterproof Wall Panel Pack 2From £329.00 inc.VATCreate a corner wall of up to 1000 x 1200mm, an all in one pack for creating waterproof shower walls in 16 colours! 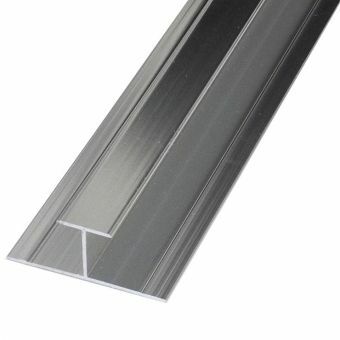 Abacus M1 Series Waterproof Wall Panel Pack 4From £429.00 inc.VATA fantastic waterproof panel pack that includes the installation kit and trims ready to be installed straight away! Setting trends with their clean and soft designs, Abacus Bathrooms create an illusion of space with their timeless forms. Luxury seats combined with close coupled or modern wall-hung ranges produce a sense of serenity and elegance in any bathroom. Free DeliveryAbacus Slimline Toilet Cistern & FrameFrom £234.50 inc.VATRRP: £335.00 (Save 30%)1.18m tall with front access. 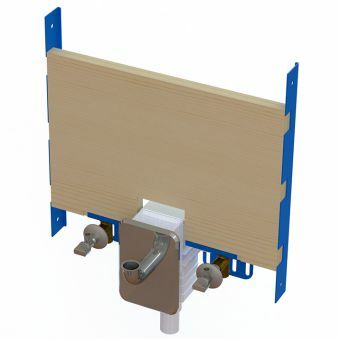 Compatible with all ukbathrooms wall hung toilets. Abacus Easi-Plan Dual Flush CisternsFrom £94.50 inc.VATRRP: £135.00 (Save 30%)Great value bathroom essential, suitable for all our back to wall toilets, 3 heights to choose from. Abacus Concealed Cistern with Chrome Flush Button£55.30 inc.VATRRP: £79.00 (Save 30%)Strong and durable build for furniture installation, 470 - 610mm height adjustment with a dual flush button. Innovative design styles combined with cutting edge production techniques have helped Abacus achieve basin ranges that will define your creativity with their uncluttered charm. Your dream bathroom is closer than ever with Abacus leading the way. 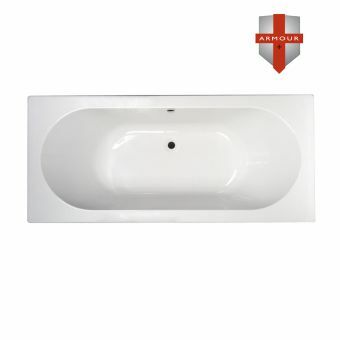 Abacus Modul Basin and Furniture FrameFrom £159.60 inc.VATRRP: £228.00 (Save 30%)Basin frame, can also be used to install a basin and unit. 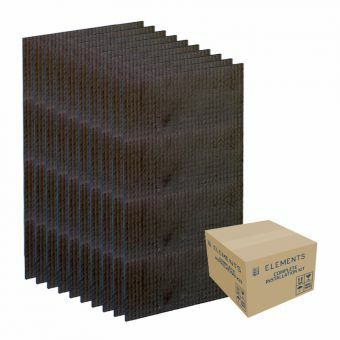 For neat & tidy installation saving time & money! Abacus Easi-plan Adjustable Height Basin Frame £133.70 inc.VATRRP: £191.00 (Save 30%)With adjustable heights of either 0.82m or 0.98m, popular heights. 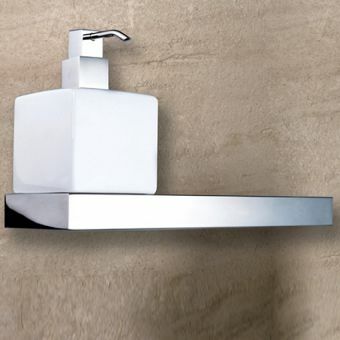 Suitable for wall mounted basin installation. Abacus Easi-plan 1.18m Basin Frame £133.70 inc.VATRRP: £191.00 (Save 30%)Floor standing basin frame for wall mounted basins with waste, inlet and fixing bolt positions all fully adjustable. Abacus Easi-plan in Wall Basin Frame£83.30 inc.VATRRP: £119.00 (Save 30%)In wall basin frame for installation within a timber frame, updating a traditional method of basin installation. Abacus Pure Stainless Steel Soap Dispenser£97.30 inc.VATRRP: £139.00 (Save 30%)340mm wide, includes frosted glass dispenser. Team with the rest of the Abacus Pure range of accessories. 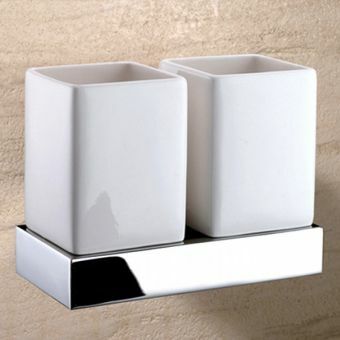 Abacus Pure Stainless Steel Soap Dish£55.30 inc.VATRRP: £79.00 (Save 30%)Useful soap dish holder, made from polished stainless steel. Compliments the rest of the Abacus Pure range. Abacus Line Single Tumbler £15.76 inc.VATRRP: £22.50 (Save 30%)Tidy, smart design. Useful tumbler with chrome fittings. Quality heavy-weight feel, ceramic tumbler. Abacus Line Wire Soap Dish£20.30 inc.VATRRP: £29.00 (Save 30%)The open basket design stops soap residue from pooling, keeping things neat and tidy for longer. 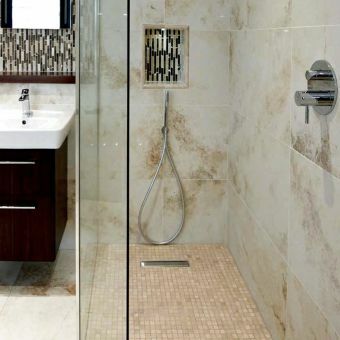 We offer a wide range of shower fittings designed to make your bathroom the envy of all. From a single shower head to a complete kit with valve, Abacus strive to maximise your space with enticing and intuitive design options. Free DeliveryAbacus Emotion Shower Package, with Rail Kit E01From £279.30 inc.VATRRP: £399.00 (Save 30%)A shower pack including a valve and rail kit with a shower handset, all the pieces you need with no stress. Free DeliveryAbacus Emotion Shower Package, with Round Head Kit E02From £293.30 inc.VATRRP: £419.00 (Save 30%)Versatile complete shower kit, choose your handle design and you've got everything you need - plumber friendly! Free DeliveryAbacus Emotion Shower Package, with Square Head Kit E03From £314.30 inc.VATRRP: £449.00 (Save 30%)Shower valve and modern overhead shower, a complete kit ready to install, easy to use and maintain. Free DeliveryAbacus Emotion Shower Package, with Round Head & Handshower E04From £335.30 inc.VATRRP: £479.00 (Save 30%)Beautiful contemporary styled shower kit, everything you need to create a modern, sleek shower package. Free DeliveryAbacus Emotion Square Thermostatic Shower ValvesFrom £237.30 inc.VATRRP: £339.00 (Save 30%)Contemporary square design, offers excellent value for money with options for 1, 2 or 3 outlets. Free DeliveryAbacus Emotion Crosshead Thermostatic Shower ValvesFrom £237.30 inc.VATRRP: £339.00 (Save 30%)Adaptable design, could be used in both traditional or modern bathroom layout. 1, 2 or 3 outlets. Free DeliveryAbacus Emotion Round Thermostatic Shower ValvesFrom £237.30 inc.VATRRP: £339.00 (Save 30%)Modern, functional styled shower valves, choose from 1, 2 or 3 water outlets. 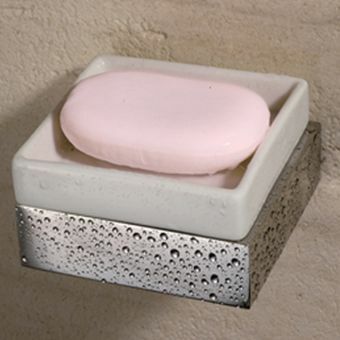 Beautiful brassware designed to set off your basin or bath to its best effect. Made from solid brass and coated with high-quality chrome, you can easily find one to match your new bathroom style. Free DeliveryAbacus XS Freestanding Bath Shower Mixer Tap£349.30 inc.VATRRP: £499.00 (Save 30%)Suitable for all freestanding baths, sophisticated freestanding style. 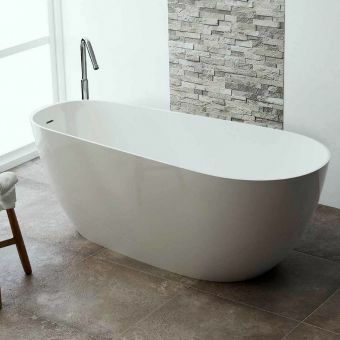 From a humble single ended bath through to a freestanding bath suitable for only the grandest of houses, the Abacus bath ranges cover all scenarios. 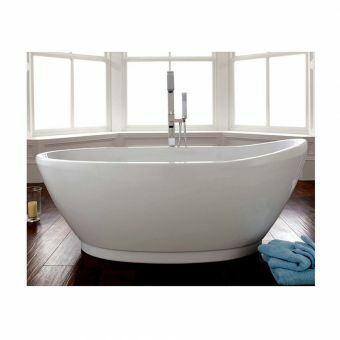 Comfort and style meet value and tranquillity giving you the ultimate soak. 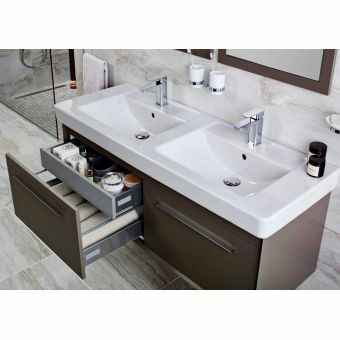 Delightful to the eye and a sense of high practicality means these vanity sets will captivate you instantly with their superior bathroom storage solutions. 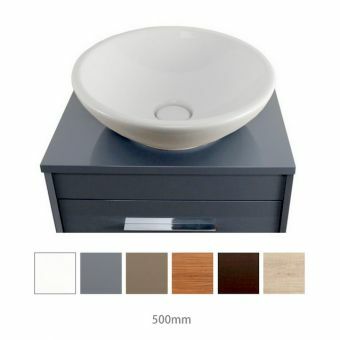 A top-quality basin features striking and bold looks. Free DeliveryAbacus Pure Twin Door Mirror Cabinet 60£384.30 inc.VATRRP: £549.00 (Save 30%)Sensor activated LED Mirror Cabinet, 600mm wide to suit most bathroom designs, plenty of storage! 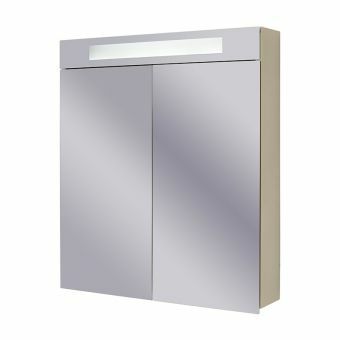 Free DeliveryAbacus Pure Single Door Mirror Cabinet 50£349.30 inc.VATRRP: £499.00 (Save 30%)500mm wide. 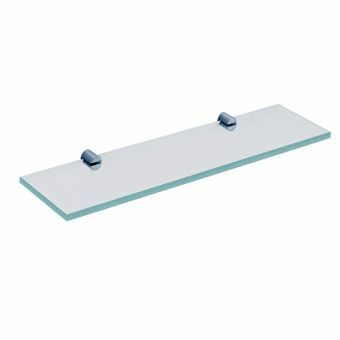 Useful overhead LED lighting, adjustable glass shelves offer customisable cabinet space. 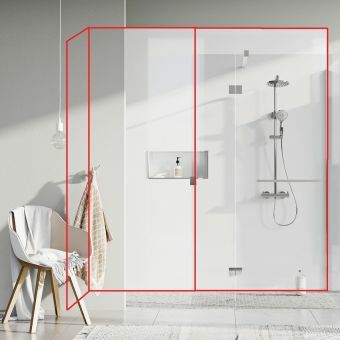 With a choice of elegant shower enclosures and bold cutting-edge design, Abacus achieves the highest quality in terms of both form and function. 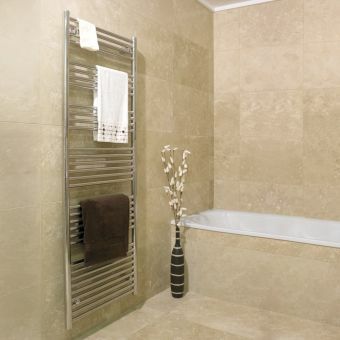 Their comprehensive range of pre-formed walk in trays allows a wetroom look for very little money. 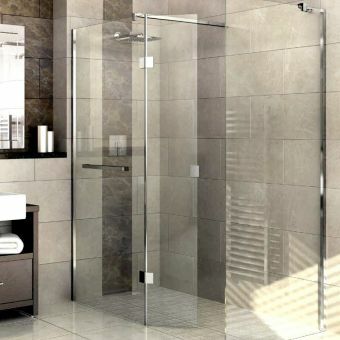 Free DeliveryAbacus E Series Walk In Shower Screen, with Return PanelFrom £382.20 inc.VATRRP: £546.00 (Save 30%)Optional side panel for corner installation, "Easi Clean" coating system makes this simple to maintain. 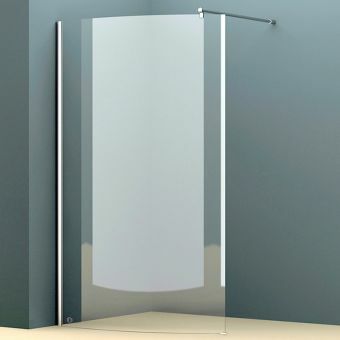 Free DeliveryAbacus M Series Walk In Shower Screen, with Return PanelFrom £502.60 inc.VATRRP: £718.00 (Save 30%)Create a stunning enclosure for a recess or a corner with an optional side panel, 2 meters tall, 8mm glass. Free DeliveryAbacus Kolonna Stainless Steel Column RadiatorFrom £1364.30 inc.VATRRP: £1949.00 (Save 30%)Floor standing column radiator, with a high output of up to 5824 BTU to keep any room toasty! Free DeliveryAbacus Elegance Sovereign Traditional Towel Radiator£342.30 inc.VATRRP: £489.00 (Save 30%)A beautiful classic style rail, suitable for a contemporary classic look or matching to period feature decor. 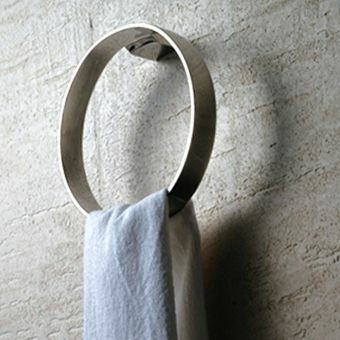 Abacus Linea Towel RailFrom £75.60 inc.VATRRP: £108.00 (Save 30%)White or chrome finishes, 400, 480 or 600mm wide, 3 heights available. Highly versatile design. 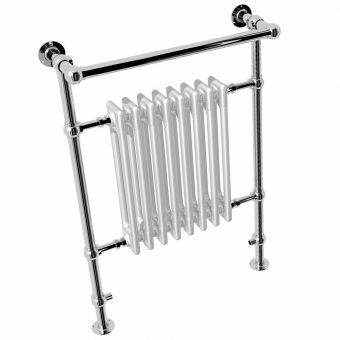 Free DeliveryAbacus Kubik Mini Stainless Steel Towel RadiatorFrom £629.30 inc.VATRRP: £899.00 (Save 30%)Compact stainless steel radiator towel warmer, 900, 1150 or 1400mm height options. Abacus has always been synonymous with quality and design appeal putting them at the forefront of modern bathroom innovation. 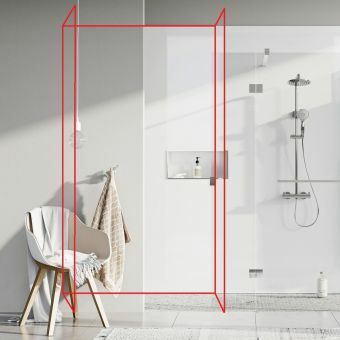 Designed with a strong geometric appeal as well as having a light elegant appearance, their bathroom products range from wall hung toilets to shower kits and baths, embracing all aspects of every day to the extraordinary. Their UK based warehousing and distribution keep large stocks of most items allowing us to quote delivery times of around 3 days instead of the usual 5 as they are able to deliver without delay using palletised couriers for the larger items. Our Abacus vanity units ensure that your bathroom looks beautiful and has plenty of storage space for your personal items. 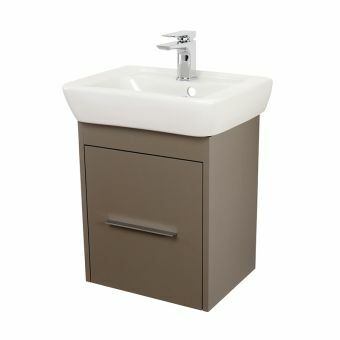 With options available all through the Abacus ranges of Simple and D-Style as well as the up-market Pure range, these wall-hung storage centres give you huge amounts of space so you can keep your everyday bathroom items out of sight but still close to hand if required. 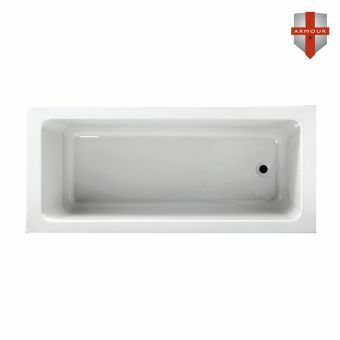 With a variety of matching basins available, you can opt for a traditional ceramic look or the more contemporary cast-marble coated with Evermite, a tough protective gel coating that will keep your new basin free from scratches and looking brand new for longer. 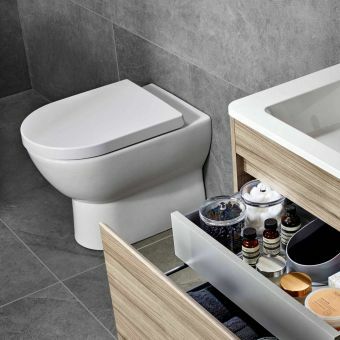 These premium design lines feature sleek soft closing drawers and doors with several having the option to add a second internal drawer that doubles your storage space, especially when used in conjunction with the specialised waste system made exclusively for Abacus units. Five modern colours make it easy to match or contrast with your existing bathroom look and will provide a feeling of understated elegance to any room. 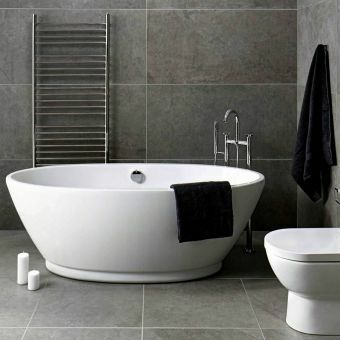 Choose from back-to-wall, wall-hung and close-coupled toilets in our chic and subtle Abacus ranges. Available alongside excellent quality exposed and hidden cistern systems, our WCs come in unforgettable angular and rounded designs. 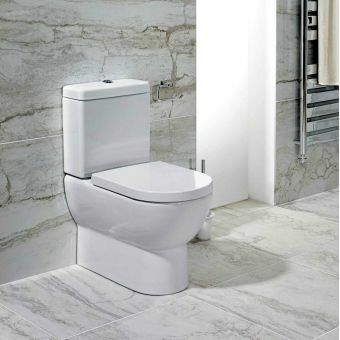 Sanitary from first to last, our toilets are incredibly easy to clean around and below, can save you space and come in a range of comfortable options. 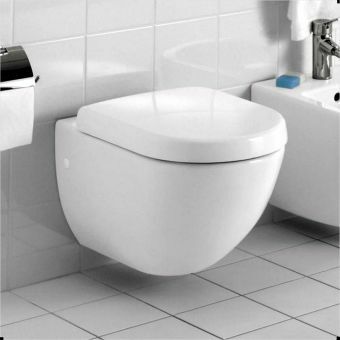 Toilet seats, covers and flushing systems are available. 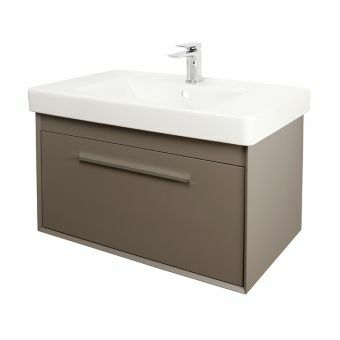 From the subtle rounded designs of the Simple and D-Style ranges to the ultra-modern square styling of Pure, these WC's create a coherent design statement that merges seamlessly with basins and vanity units underpinning their commitment to quality while providing a style that outlasts short-lived fashion trends. 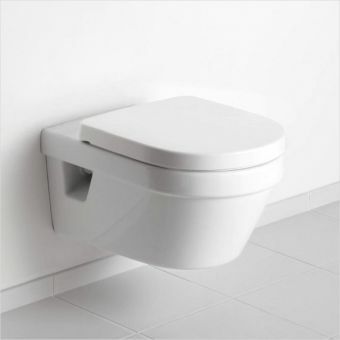 The ever-popular wall hung toilet has many advantages, lest of all the fat that is is off the floor which makes cleaning around it a simple affair. Undoubtedly, it is an innovation that is replacing the more traditional close-coupled design but these still have their place in many bathrooms and will continue for many years to come. 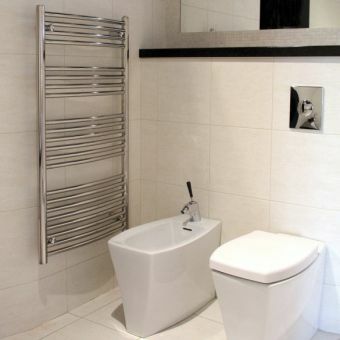 The Abacus range of frames for wall hung and back-to-wall toilets is extensive with different heights to suit any installation and a wide range flush plates. The flush plates come in all styles from standard ABS plastic to stainless steel and a subtle range of glass effect panels made from long-lasting Lustrolite. Like our Abacus baths, Abacus basins can transform your bathroom into a beautiful retreat, no matter how much space you have. 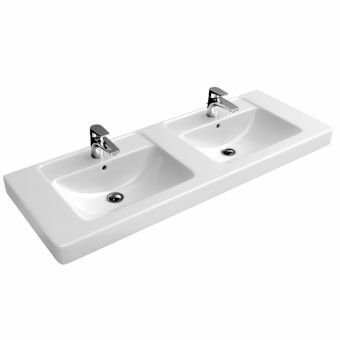 A wide range of curved and sharp-design basins are available in white, as well as full pedestals, semi-recessed pedestals and wall-mounted models. 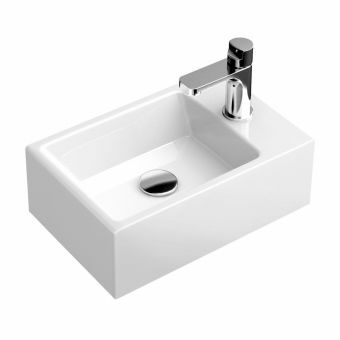 Even the small rectangular Pure Cloakroom model breathes high quality and statement angularity. Zen designs like the Zoli basins seamlessly incorporate ceramic free-flow wastes, while dark and light marble counter-top basins make for bold and beautiful designer statements. 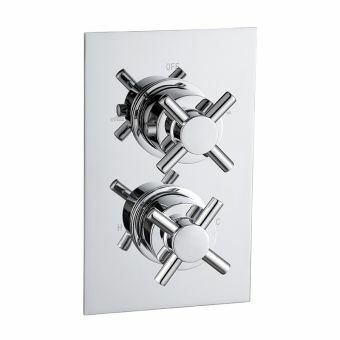 Abacus taps are the ultimate choice for luxurious design and comfort. 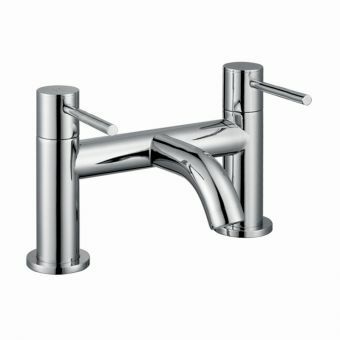 Beautifully made to suit a wide variety of bathroom and household interiors, these taps are favoured for their fine and finished quality as well as the variety of water-flow and pressure options they offer. 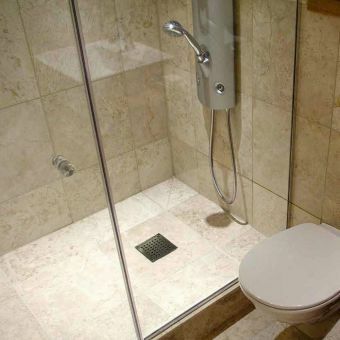 Imagine the relaxation of showering under your own indoor waterfall. Envision knowing that every tap in your house works just as you would want it to, with powerful, gentle-sensation water flows and optional temperature limitations to ensure both security and safety. All our taps are touch sensitive to guarantee full control. Their stainless chrome finishes brighten up any room and are incredibly easy to maintain. 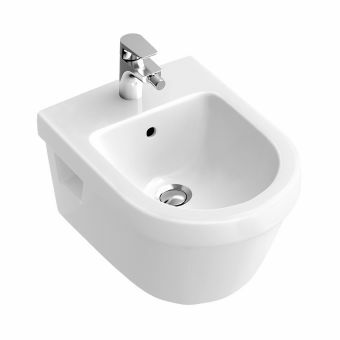 We stock a full range of Abacus basin, bidet and bath taps. Our mixer basin taps, starting with the Logic mono range in standard and mini sizes, bring you these features on a compact scale. Our tall ISO and XS models make stunningly subtle statements in style – whether you are looking for something ultra-modern, or a clean, up-to-date tap inspired by traditional bathroom design. 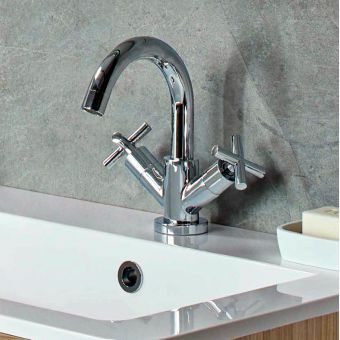 Our range of wall-mounted and stand-alone taps are not only functional, with directional points for bidets and ultra-easy temperature precision, but also offer a full variety of styles to suit individual tastes. Abacus mixer taps have also been chosen to complement the full UK Bathrooms range of showers, heating, tiling, sanitary ware and furniture. Backed up by reliable, state-of-the-art plumbing parts, we also offer a full range of products to stylishly and effectively drain away waste water and overflow. 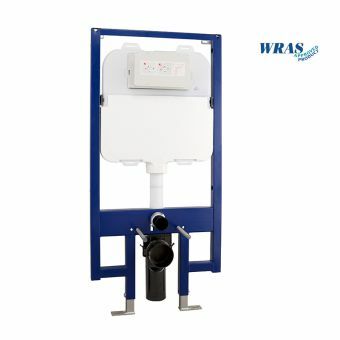 This includes pop-up, handle-free plugs and other waste options, such as free-flow systems and slim but effective designer bottle trap to keep bathrooms and other water outlets hygienic and clean. 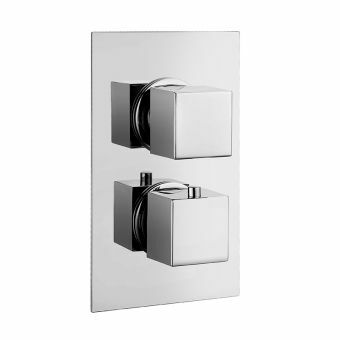 These are available in silver and darker, pewter-toned chrome finishes. All of our Abacus products comply with Water Regulations Advisory Scheme standards, are designed to be easy to install, and come with clear, detailed instructions and images. This also includes how to maintain mixers for optimal long-term use, and a table that helps you decide on your tap model and flow rate according to your own water pressure system. We measure water pressure in units called bars. Each building has its own water pressure, which depends on things like internal plumbing standards, the pressure set by the water authority, building elevation and intensity of water use in the surrounding area. Water pressure is important, both for your financial health and comfort. That is where we come in. Apart from the expensive big job of working on your internal pipes and infrastructural plumbing, you can also regulate your water pressure with our taps and drainage systems. Overly high water pressure can lead to high water bills, damaged water installations, leaks, and uncomfortably powerful water flows, but is an easy problem to solve with our Abacus products. Most of our Abacus taps are designed for water pressures between one and six bars. 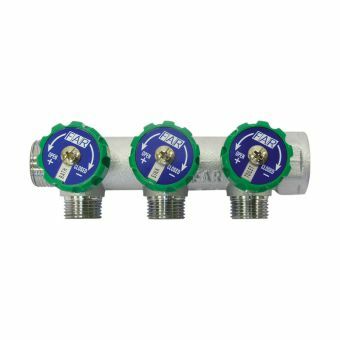 Abacus mixer flow limiters are available to install in our ECO-marked brassware and can limit flow to five or three litres per minute. Tackling high water pressure is not only financially efficient and physically pleasant water flows, it also helps to save water for the environment. Installed with efficient aerators, you’ll get a satisfyingly potent flow of water even with lower water pressure, and can choose taps made to suit the normal water pressure where you are. Believe us when we say that you’ll love it. 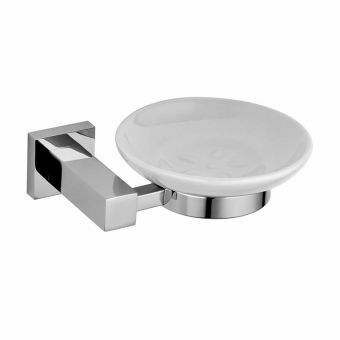 With over twenty exquisite designs and models, basin mixers come in a variety of sizes and chrome finishes. To suit our customers’ needs, most of our taps stand in the basin. 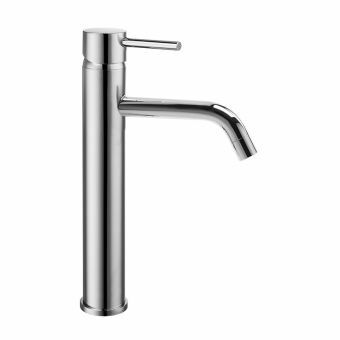 All our taps have single spouts with perfect lever or handle-controlled temperature regulation. 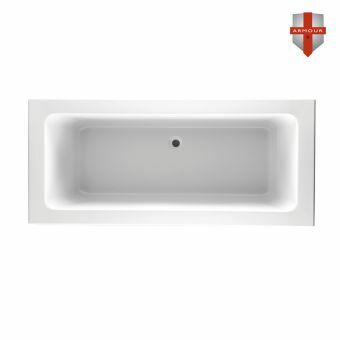 The Edition and Plan taps offer clean-cut form that adds a touch of class to any corporate or domestic space. 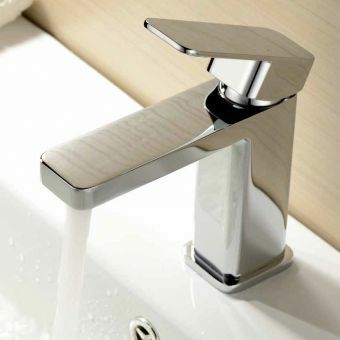 Subtle details featured in many taps can also add a seductive twist or sense of ultimate spa comfort to your home. 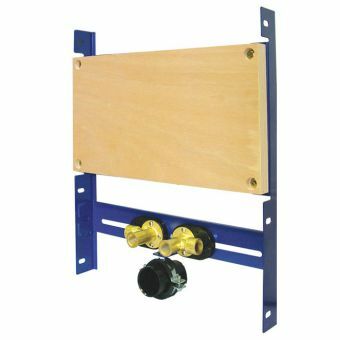 Incorporating top-of the-range ceramic cartridges and plumbing systems, we also stock wall-mounted options. The Logic range was built to do just what the name suggests. Ergonomically designed in beautiful style, with straight—back spouts and discernibly smooth curved edges, these bright taps are designed to fit and size of the basin, tub, shower or bathroom. Made using brass and high-standard chrome plating, with the option to limit water pressure with all taps, the Logic collection is the simplest way to upgrade your bathroom space and reduce water wastage. With a dark and light chrome finish options, the Ki range lets you set the tone. 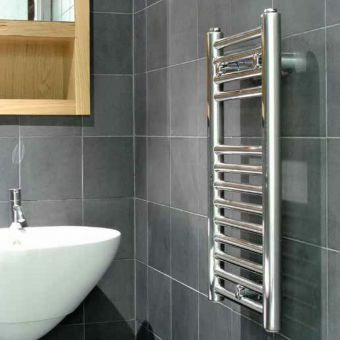 The darker chrome options is a stunningly deep off-pewter colour, with an ancient mirror-like quality. It is popular with customers who like to mix clean, modern design with industrial or creative interior styles. 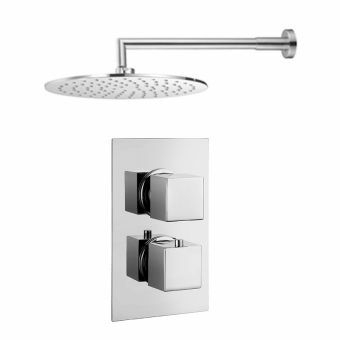 The deck-mounted shower and mixer are particularly noted for its minimalism and boldness. Short lever handles make for a kooky touch. This selection of tapware is similar in design and functionality to our Logic range, with elegant levers and more assimilated shower, mixer, waste and filler options. 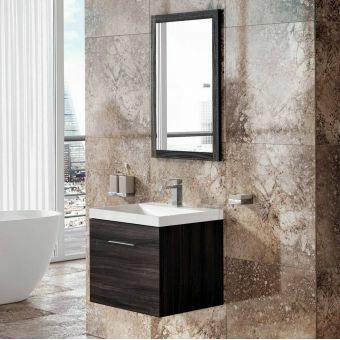 This is ideal for integrated bathroom design, with an extra chic flair. The Plan range stands out of its straight-edged architectural style, including perfectly cut framing details at the base and around the handle. 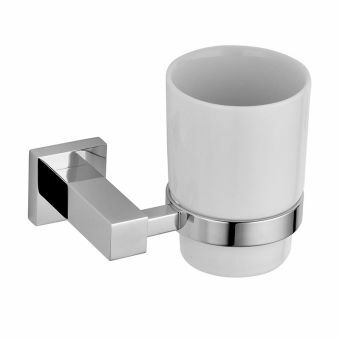 These tasteful taps are a clean, modern way to add a touch of palatial luxury to your bathroom space. Ala-S taps include high and low standing options, and levers with a unique, gentle arc that make them totally unique. Although these taps are minimalist enough to suit almost any space, like the Plan range, they are particularly well suited for mixer sets. They also suit the Twist range remarkably well. 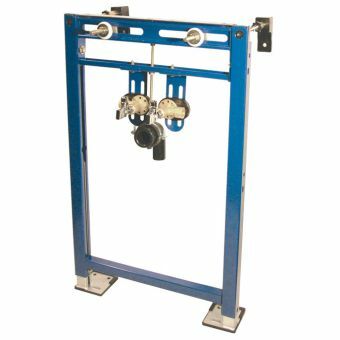 These mixers have flexible, sibilant twists impeccably integrated into their outer design while maintaining the utmost quality. We chose the Twist range for customers who want to hint at voluptuousness, without straying from Abacus' crisp, modern style. Bringing our favourite old style spouts up to date, this spoked-handle and high-arched spout design is a stunning way to bring light and atmosphere into your home. Like XS, the Iso range hints at a more traditional feel of tap, without compromising style or modernity. Bringing one of our favourite traditional tap designs up to date, this model's spoke-handles and high-arched spout design are a stunning way to bring light and atmosphere into your home. 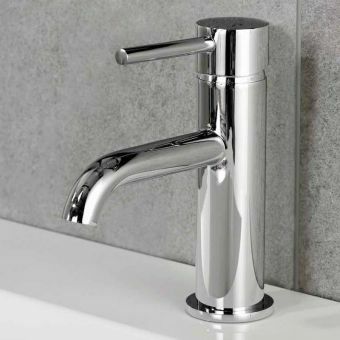 The Ki range includes a highly attractive wall mounted single lever mixer tap, with the benefit of a 23cm-long spout and the option to install our environmentally-friendly flow limiters. 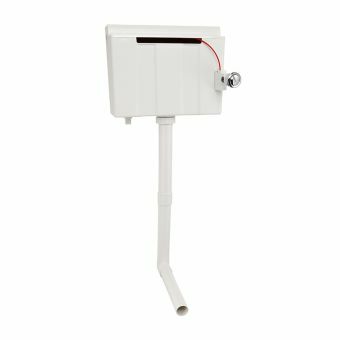 Meanwhile, the Plan Chrome Wall Mount Basin Mixer, which is installed with a safe, cutting-edge technology EZ box, is excellent for electric water heating at precise temperatures. The XS range includes both free-standing and wall mounted mixer options, with two stunning, spoked faucets placed on the wall separately for the style. The XS Mono Basin mixer, with its elevated, arced spout and grip-able handles is particularly popular in for its chic but retro appearance. If you have a similar kitchen sink, it can also help to integrate tap design across the house. Like all our Abacus taps, this model includes high hygiene standards proven to reduce cross-contamination in any area. 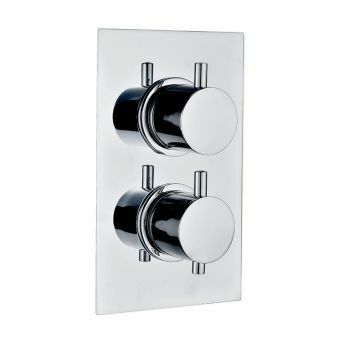 The right bath mixer is indispensable when it comes to functionality and beauty. Often your bathroom’s centre-piece, your bath’s appearance can be transformed with the right taps. Think of it like wearing jewellery or a watch – these items may appear relatively small, but they can transform your whole outfit. Our special selection of Abacus products includes tall, imposing and waterfall taps, for those who wish to make more of a statement. We also stock a diverse range of stylish, compact options. Our Abacus bath mixers can be combined to include a range of taps and shower systems for your bathroom. 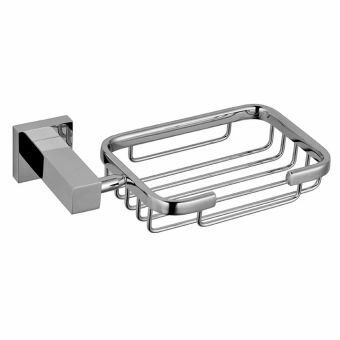 Given the more complex combination of taps and outlets that can be used in baths, we have a wide array of options. 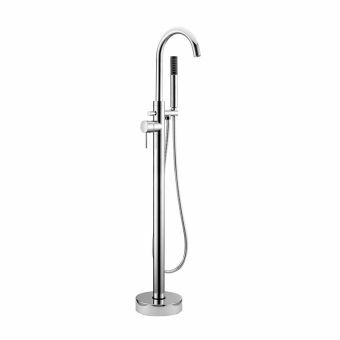 These include free-standing shower mixers with multiple heads, wall mounted taps with separate levers for temperature control and double and single lever taps. 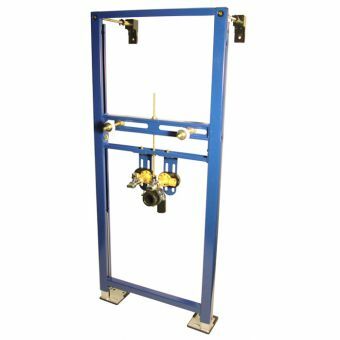 Deck and wall-mounted mixers are all available with single, double or three-hole options. 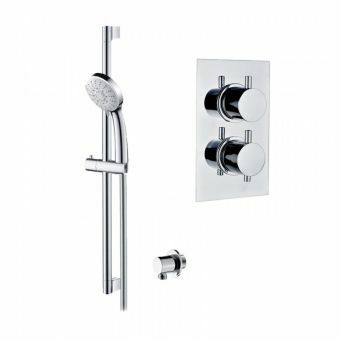 Spouts and additional items are offered for products like pull-out handle showers. Diverters are included in Abacus Ki, Edition, Ala-S, Plan, XS and Logic ranges. 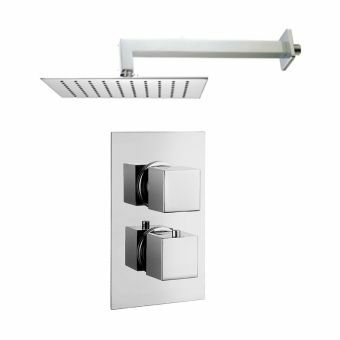 Seamlessly allowing you to switch between shower heads and taps, they are also available as separate levers, particularly suited for wall-mounted options. 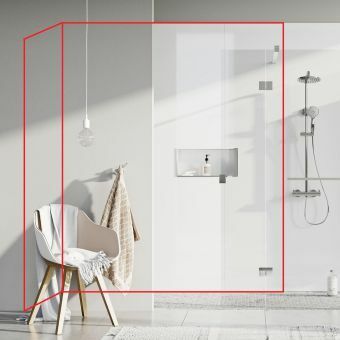 Our thermostatic products, including the Twist shower mixer which can jump from 38°C to 48°C in no time, also come with push buttons to add a burst of warmth to your water. Whether you want a refreshing shower or a soak in a leisurely bath, we ensure that you enjoy the best shower and bath experience, with luxury and economy centre-stage. Our bidet mixers include the round-edged Ki Chrome Mono Bidet Mixer and the straight-edged Plan Chrome Mono Bidet Mixer, both with easy-use single lever controls and special aeration bidet sprays. 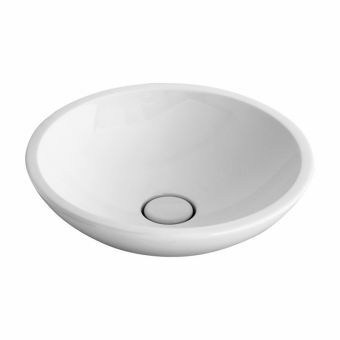 The Ki design is totally smooth, the base plunging straight into the basin, while the Plan range includes a small base-frame for gravitas. These flexible but subtle options will match many tap models, whether you plan on refitting your whole bathroom or installing a new tap alongside your existing ones. Like all our taps, bidet mixers are built with excellent hygiene and hydraulic performance standards, with mechanical strength and even limited acoustic levels. Both of these mixers can be fitted with the 3 litres Mono Basin Mixer Flow Limiter. 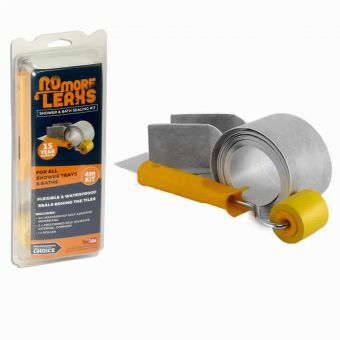 We have a fantastic choice of wastes and traps, which are used to drain waste and excess water from showers, baths and basins. No more messy plugs that don’t match your taps and are easy to misplace: we have a full range of silvery, chrome plugs with smooth, polished tops, giving a flawless finish to your water containing furniture. These include free-drainage wastes, as well as pop-up and click waste options, allowing you to drain away water at the push of a button. An ultra-shiny luxury pop up waste is also available. Round and square designer bottle traps, with their svelte designs, provide the detail you need to give any basin a sense of plush sumptuousness while maintaining maximum hygiene and odour standards. 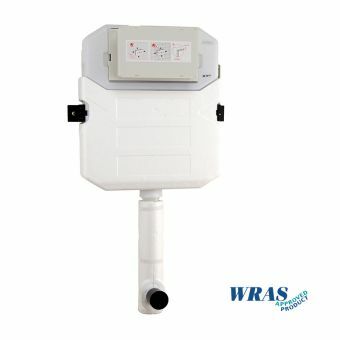 We stock a combined bath waste and filler unit for large bathtubs as well options for smaller containers. 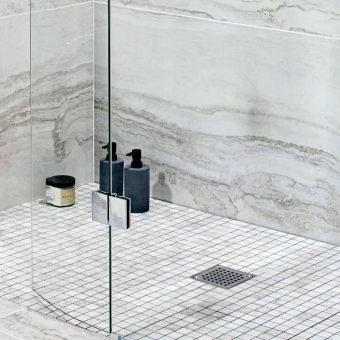 Imagine the relaxation of showering under your own indoor waterfall or a shower where the outlet is wide enough for the water to truly envelop you. As you will see from reading about Abacus bath mixers, our Abacus shower sets are available to match with waste and bath mixers. 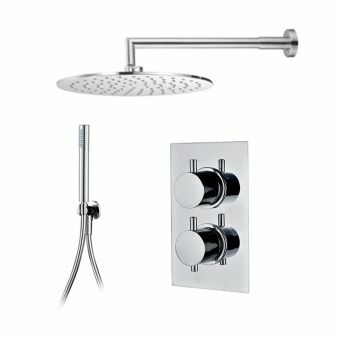 Whether you would like to buy a set of mixers, temperature control levers and shower heads, or need a single shower head, we’ll have the perfect shower set for you. 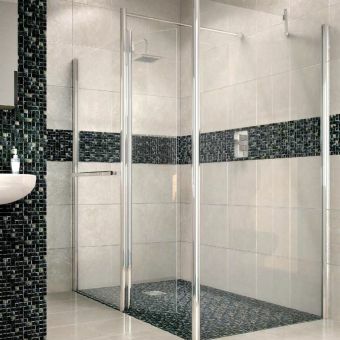 Our choice of showers includes exposed and concealed valve options, with generous square and round heads, slim hand-held showers and matching brackets and hoses for a stunning finish. 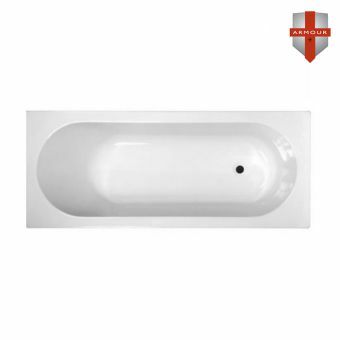 We stock a full selection of single and double-ended Abacus baths, as well as inset baths. With fantastically resilient Amour Plus Super Strength Acrylic models, enviable quality and an extensive variety of styles from which to choose, as well as up to 30-year guarantees, there is something for everyone in our Abacus collection. The Oval Multi-Design bath is even flexible in form and offers your home a serious interior-design flare, with water-tight panels that can be re-combined to reveal four shapes and visual options for the bath. 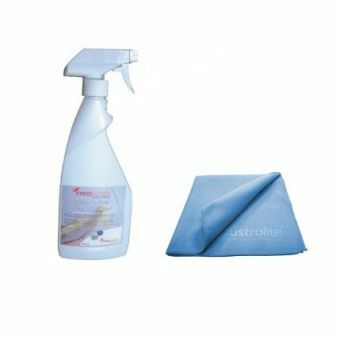 Fully compatible with our shower and bath mixers and waste kits. 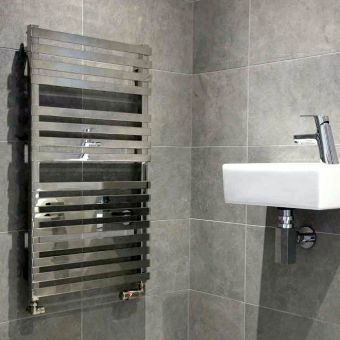 Our Abacus range of shower and wet room furniture, including the designer X Series, can be customised down to the chrome support arms, making your bathroom as functional and beautiful as possible. 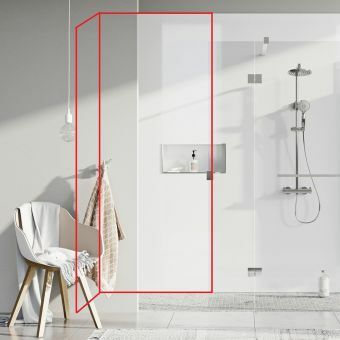 Our E and M Series offer both flush and curved surface options for glass walk-in shower screens, while spa-touch infinity trays can be fitted wall-to-wall, or simply as part of your shower enclosure. 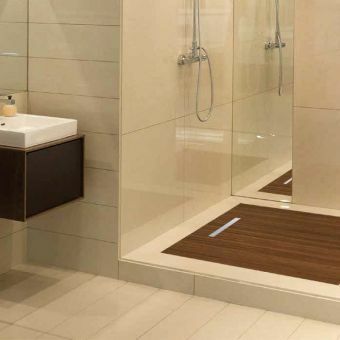 Linear waste trays and kits are also available to give your wet-room or even enclosed shower that seamless connection between the bathroom and shower floor. 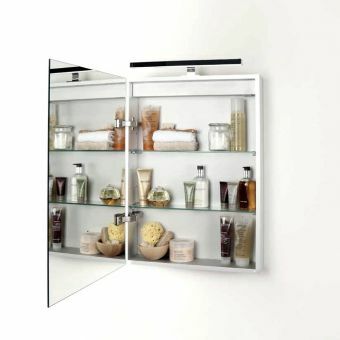 Abacus mirrors and mirrored cabinets show off the best in sophistication and simplicity. 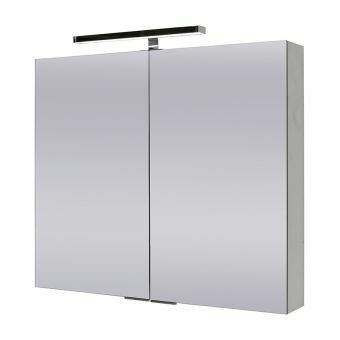 Every cabinet is fitted with adjustable shelves, a shaver socket, and low energy LED lighting. 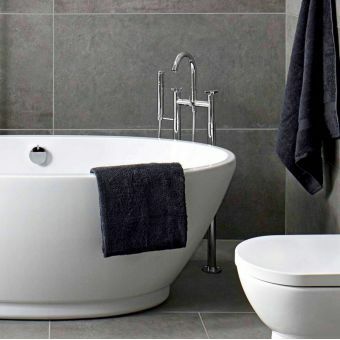 Bring space, light and style to your bathroom with this stunning and surprisingly affordable range. Our Abacus accessories are the perfect finishing touch. 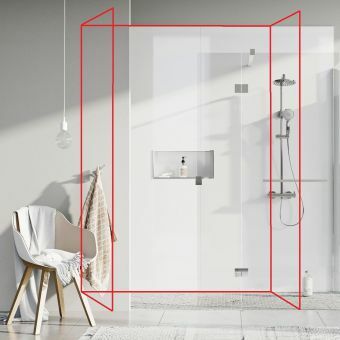 From robe hooks to towel rails, soap dishes and toilet accessories, you’ll be able to choose from sheer, angular models that breathe modern design, as well as softer lines such as the Halo range. 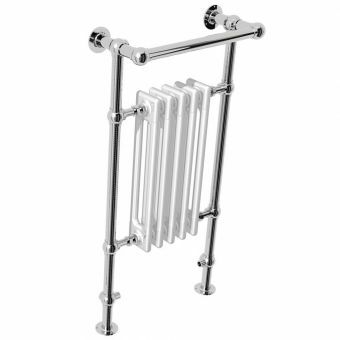 Abacus towel warmers and heaters come in mild and stainless steel options, as well as tailored colours. 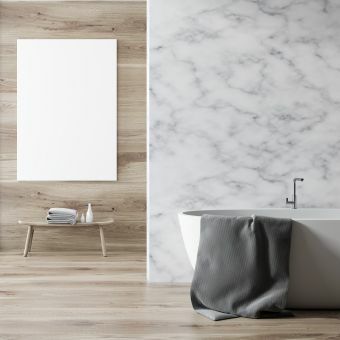 With a surprising range of linear styles, including the twisting Lazo model and striated Linea heater, you’ll be sure to find a stunning and effective heating for your bathroom here. With thick and thin radiator designs, as well as standard and Bluetooth elements, your towels will be warm whenever you need them to be. 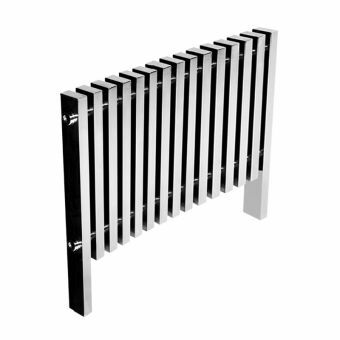 Incorporating classic elegance and boutique-grade modern luxury, our Abacus radiators come with full quality guarantees.